The National Agency for Food and Drug Administration and Control (NAFDAC) has refuted any malpractice in the agency, especially financial mismanagement, which it has attributed to false claims in some quarters with ulterior motives. A press statement yesterday, signed by the Director, Special Duties, Abubakar Jimoh, NAFDAC said it has been inundated by concerns from stakeholders and strategic partners following a recent publication attributed to a director of finance and accounts, Ademola Mogbojuri, accusing the Director-General of the agency, Paul Orhii of corrupt practices. Jimoh said the agency was forced to react to the publication because of the damage it might cause the organisation, if it is allowed to stand. He said: “The publication would have been ignored except for the wrong information it would send to the public. “We wish to state categorically that these allegations are baseless, false, misleading and frivolous because nothing of such has happened under the watch of Dr. Paul Orhii as Director-General of NAFDAC.” In refuting the claims, Jimoh implied that the director behind the publication had a score to settle, because of his redeployment from his post. “It is a curious paradox that the so called director of finance and accounts who has been superintending over contract awards, payments and other due processes since 2010 would now turn around to make such false and disparaging allegations against the chief executive just when he was redeployed to another directorate due to his incompetence and insubordination. “In any case, redeployment and movement of officers in the civil service are a normal routine. 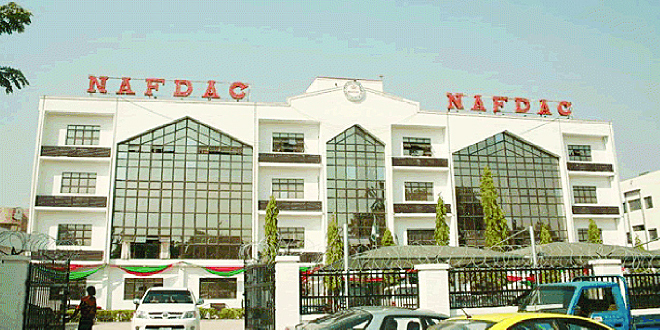 This is not the first time since the creation of NAFDAC that directors are reshuffled. “In most cases, some directors have been redeployed to up to five directorates within three years in the agency. This is why we are at a loss to decipher what the hullabaloo is all about except to believe that he is being used as a willing tool in the hands of counterfeiters to derail the focused administration in its quest to safeguard the health of the nation,” the statement said. The statement also recalled that the NAFDAC chapter of the Medical and Health Workers Union held a press conference in Lagos recently where it applauded the action of the agency’s management and insisted that the officer must comply with the redeployment as director of the NAFDAC Training Institute, Kaduna. In addition, Jimoh said, the union embarked on a strike action in 2014 to demand the payment of the outstanding 28 days’ allowance and other staff claims duly approved by the Director-General but which were withheld by Mogbojuri. “NAFDAC, under the able leadership of Dr. Orhii, has recorded monumental achievements in areas of infrastructural transformation, regulatory and enforcement activities, prosecution of offenders, capacity building and international collaborations, which launched the agency into the league of top-20 medicine regulatory authorities in the world,” the statement said. This story was published in Newswatch Times on July 23, 2015.